"Having come up with three must do's, Mendoza for wine, Iguazu for waterfalls and Torres Del Paine for Spectacular Mountain peaks, I left the rest in the capable hands of Chloe of Aqua-Firma. Iguazu Falls: I had separate guides, first to the Argentinean side of the World's widest cascade and after lunch to the Brazilian side. As they said, Argentina has the falls but Brazil has the views. Both guides were very good and the day was a fantastic experience. I was most impressed how both countries had achieved some success in harmonising the need for tourists' views with nature. From start to finish, Mendoza exceeded my expectations. I was a little unsure on arrival at a door in a wall to be told this was my hotel. On entering my hotel in Chacras de Coria I was greeted by Daniel, the owner and a mountain guide, and his wife Maria. The place is a haven and I loved everything about it. Arty, wonderfully decorated, small and the friendliest place I have ever stayed in. I immediately got a taxi to Mendoza City and had an excellent introduction to a wine new to me, Torrentes. Valle de Uco vineyard visits: It was just me, my knowledgeable guide, and a friendly and a young guy in charge of visits. I had a wonderful time touring, discussing and tasting. The three of us spent an hour just chatting about corks v screw tops. We then looked at vines so they could show me differences in leaf shape on vines of different varieties, then the cellars and beautiful formal tasting room, and finally the tasting. I think due to my rapacious interest, the third and final tasting was a top shelf Pasionado 2003 (50% cabsav, 25% malbec, 15% cabfranc 10% syrah), wow! 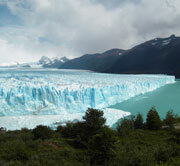 Perito Moreno: I had no idea of the scale until I saw the specs of a group walking up on top of the glacier. This is 5km wide, 20km long, 60m above water and according to the guide, 120m below water to the lake bed. We then returned to the coach to do a walk and have a view of the other side. There were outstanding hues of blue in the ice and what noises. Sounds like creaks, groans, rifle shots, artillery firing, planks of wood falling as it advanced 4m a day, then kaploosh. The shattered, fractured ice falls into the lake at its front at the same rate, thus nil net movement. Torres del Paine in Chile: The young lady acting as guide this day was superb; knowledgeable, friendly and humorous - and quite pretty. She had us doing an 8km walk to get the best views of the cloud covering the peaks of these supposedly rugged mountains. When I complained about this she just said "You will just have to use your imagination Miguel"! We saw Condors flying, a pair nesting, and a large group bloated and waddling around after gorging themselves, unable to fly. The coach was stopped a couple of times by herds of guanacos and flocks of rheas. At salt lakes there were flocks of pink flamingos. 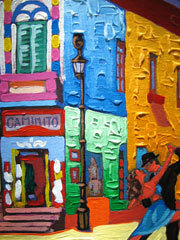 San Telmo Buenos Aires: This is a pleasant area with cobbled streets, colourful bars, a small leafy square with cafes, yards with small shops selling antiques and a rather incongruous, but pretty, orthodox Russian church. Argentineans love their mash, which can be spud, pumpkin, or a combination of both. I had a wonderful lunch of albondigas and mixed mash with, of course, a bottle of malbec." "The massive waterfalls at Iguazu is an experience not to be missed. You will spend two whole days experiencing the sights and incredible sounds as the Parana river pours over huge rock steps created by ancient lava flows - it takes that long to see it all from both Brazil and Argentina. The rainforest is also beautiful - especially after being in Antarctica! I can also highly recommend the delightful accommodation in an idyllic jungle lodge, set in the rainforest." "We had a great time thanks. Esteros del Ibera was great- got to see amazing birds,caymans and capybaras. Great place to stay. BA was fun too and hotel was lovely. 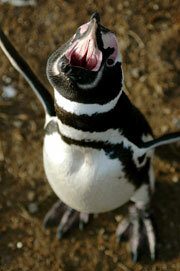 The cruise was fun the penguins and the glacier were amazing." "Bernie and I would like to thank you and all your colleagues for putting together a most wonderful and magical trip for us. We thoroughly enjoyed all of our adventures and your recommendations and planning were top class. All the hotels you suggested were great and the service so helpful and friendly. In Ushuaia the hotel was comfortable and could not be more central and convenient. The Buenos Aires hotel was very modern, in a great setting and most comfortable and the Jungle Lodge in Iguazu was a delightful spot to rest in. The room was spacious and clean and the setting amongst the trees and plants was just great. Some may consider it rustic, which it was, but we loved it. The Hotel in Mendoza was equally good. It was very central, as you had advised, and the staff was very helpful and friendly. All the trips that we were booked on gave us so much. The national Park in Tierra del Fuego was well worth it. The Iguazu falls was absolutely amazing and spectacularly beautiful. The trip to the Andes again excelled and was way above our expectations. Antarctica leaves us speechless. We were blessed with good weather and the trip was really fantastic. Magical is not too great a word. Everything was beyond our expectations and we were so lucky to see all that we did. The Penguins are truly funny and lovable and we could spend all day just watching them, except that there is too much else to be looking at. All the arrangements for the flights and the meeting us from, and taking us to, the airports went like clockwork. Once again many, many, thanks for all your efforts in making this truly, a Trip of a Lifetime. With our deepest thanks and best wishes." "Iguazu was brilliant, so worth the effort. Our guide was fantastic, she was so knowledgeable and helpful, able to answer all our questions in perfect English as well as pointing out wildlife others seemed to miss, advise us on ideal photo locations and great company. The hotel was amazing !" "The Jungle Lodge hotel in Iguazu really contributed to my enjoyment and the whole stay was so 'earthy' and natural. It was so remote and unusual. Iguazu was the kind of environment I adore - so peaceful and tranquil surrounded by Nature. The thunder roared, it rained with lightening, real natural forest creatures. Loved it. Iguazu is full of life and one feels rejuvenated. The full boat trip was also exciting as was the majestic falls on both sides. I loved the train ride too." "A big thank you to you both for arranging such a fabulous trip for our Honeymoon - truly memorable in so many ways. We loved Brazil and the Rainforest with all the wonderful birds and butterflies - but Argentina touched our hearts most of all, particularly the Estancia we stayed at ...... this place was breath taking and the hosts were wonderful. The riding and scenery fantastic and we hope to return in the not too distant future. Cocacabana - great place and great hotel and we loved the beach too. Just the right amount of time here. Picinguabu was a truly amazing place and we loved the little boutique hotel and the staff were fantastic. We also had a guide and did some of the rain forest walks and also chartered the boat for a day. Food fantastic and a great time here. Iguazu Falls was amazing and the Hotel just great. The ground handlers were first class and the Guides very helpful and knowledgable - a great part of our trip. 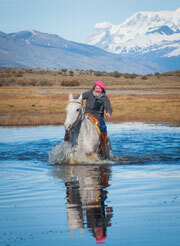 The Estancia at El Socorro was first class and the bird and mammals very exciting - we had some good riding too. Food and service excellent. Thanks so much again - certainly a trip to remember and we will be back in touch in due course to plan another!" 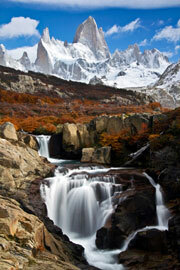 "I cannot recommend Hotel in Torres del Paine enough - we absolutely loved it! The horse-riding was just amazing and the other excursions were really great too. Plus the food was all delicious"
"Buenos Aires - The airport pickups were excellent, always on time, pleasant drivers - one even waited for 2 hours for us at the airport when the plane was delayed and then our luggage lost. Esteras del Ibera - This is a magical area with the array of birds and other wildlife really exceptional. In short, a wonderful area to visit. 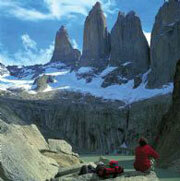 Torres del Paine - The choice of the hotel for staying was definitely the right one. The program of activities at the hotel was excellent, food and drink very good and rooms we were in were also excellent. Wildlife was everywhere - We even had a rare sighting of a puma on one of our excursions. It is certainly a wonderful area to visit. So all in all a terrific and varied trip. Many thanks for your help in getting this organized."